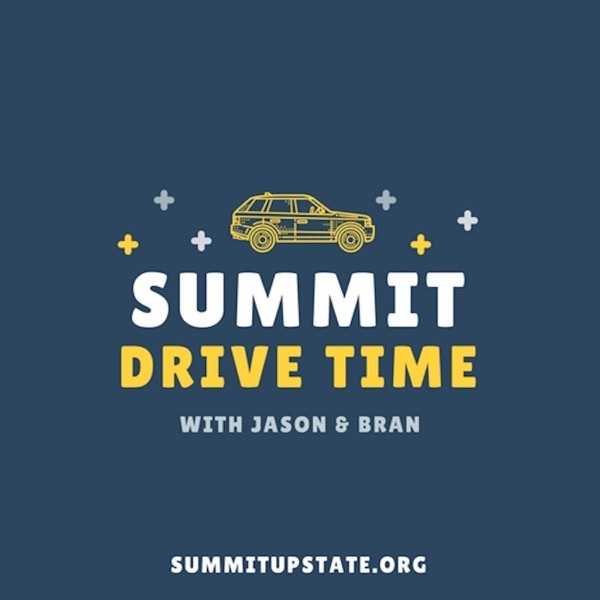 Summit Drive Time | Listen Free on Castbox. The boys chat about Good Friday & Easter. On this weeks episode of Summit Drive Time, Jason and Bran answer questions that are asked by life group leaders from Summit Church during our 2019 Life Group Leader & Deacon Retreat. Jason just celebrated 20 years of ministry, so Brandon asks him 20 questions about those 20 years..in 20 minutes. Enjoy! Merry Christmas from Summit Drive Time! The staff team is back to reflect on some Christmas memories. Enjoy...and safe travels! Jason and Bran are joined this week by Kyle Estepp to talk about our upcoming Generous Advent series. The entire staff team join Jason and Bran to share what we're thankful for. In this episode, Jason, Bran, Kyle, and Terry come to you LIVE from Florida and explain a little bit about why they were there - Saturation Church Planting.